Fill out the form with any questions or inquiries you have for the sales consultants at Del Webb® - The Woodlands® . You can also call or chat with us for immediate responses. Magnolia makes guests feel at home when you entertain. The open layout lends itself to socializing, with gathering areas connected to a cook’s kitchen with large island, corner pantry, and long counter tops. Overnight guests enjoy privacy – well-separated bedrooms each have private baths. In the morning, hit the links – the third garage bay has a separate golf cart door. The Magnolia is known for its luxurious owner’s suite, with a spacious bedroom, huge walk-in closet, and a private bath with walk-in shower, dual sinks, and a linen closet. Beautiful birch cabinets are featured in the open island kitchen, which overlooks the gathering room. 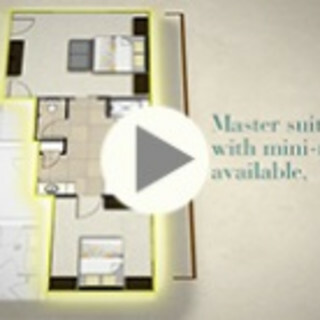 A unique option in this floor plan is the Dual Owner’s Suite, perfect for different sleep patterns or quiet space. Insulation Package Includes: R-13 Batt Insulation Installed in wall with Zero Tolerance Application, R-22 Fiberglass Insulation in Sloped Ceilings, and R-30 Fiberglass Insulation in Attic. Our Master Suite features an additional mini suite, design so the early riser and night owl each get a good night's sleep.